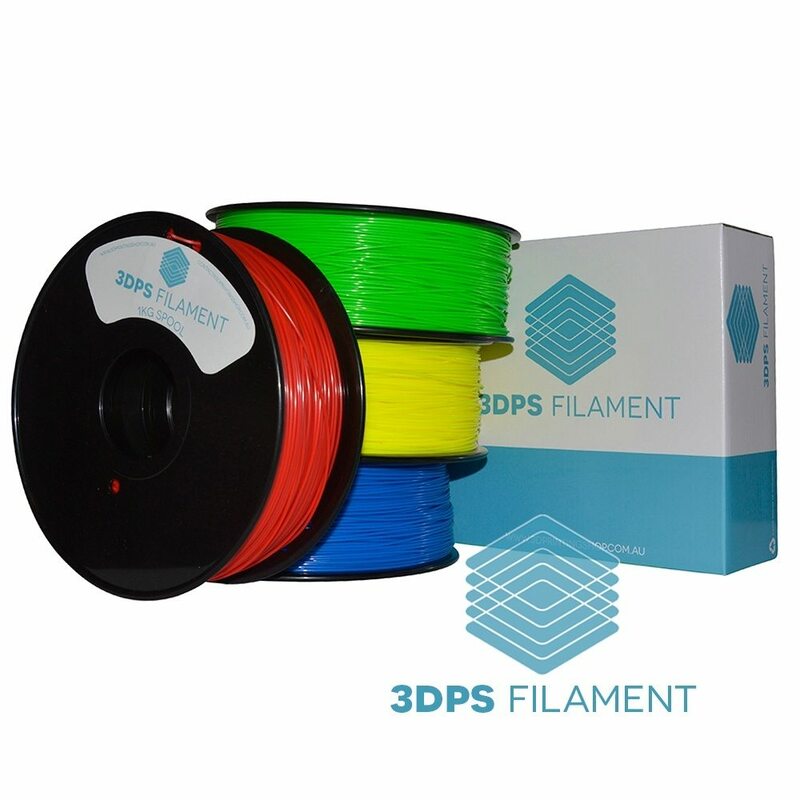 A 3DPS Bundle ABS 1.75mm 3D Printer filament is the perfect material for the 3D printing of strong and durable prints.Choose your 4 rolls of this tough material which has great mechanical properties, so whatever type of 3D printing you’re into this durable material will suit your needs! 3DPS Bundle ABS 1.75mm 3D Printer filament contain opaque material due to the ABS polymer crystallises, which results in solid looking parts. Printing with ABS plastic requires a printer with a heated bed. ABS is soluble in Acetone allowing one to weld parts together with a drop or two, or smooth and create high gloss by brushing or dipping full pieces in Acetone. Compared to PLA, it is much easier to recycle ABS. It’s strength, flexibility, machinability, and higher temperature resistance make it a fantastic filament for all types of 3D prints! 3DPS Trial Black ABS 1.75mm 3D Printer filament is the perfect material for the 3D printing of strong and durable prints. It's tough and has great mechanical properties, so whatever type of 3D printing you're into this durable material will suit your needs! 3DPS Translucent Red PLA 1.75mm 3D Printer filament is 100% new pure Polylactic Acid material. It is one of the most popular materials for 3D printing. Our PLA filament has a relatively low melting temperature, low warp properties and is biodegradable.